/ Markets Cheer a Recession? The rally in gold and the stock market together is demonstrating that eventually, we will see the alignment as it transforms from Public to Private assets. The most deranged reaction to the Federal Reserve saying they will be “patient” on any further rate moves, is just beyond all reason. But markets are not always rational – they tend to trade emotionally much of the time. 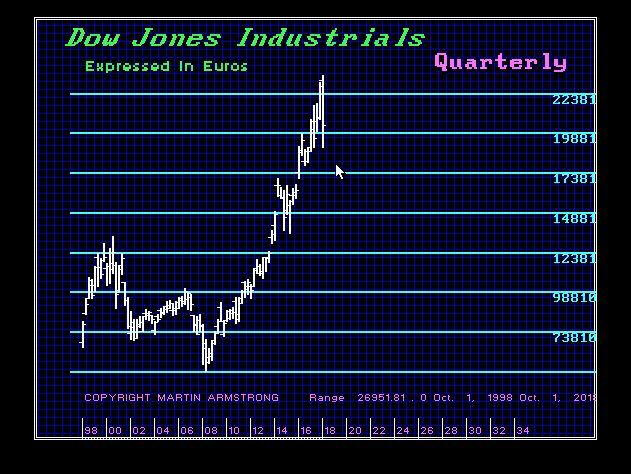 The talking heads have so distorted reason that the markets interpreted it as complete capitulation. The two-year Treasury yield, the most sensitive coupon-bearing maturity to Fed policy, dropped like a stone 4 basis points to 2.53% percent. The yield curve steepened, as everyone expected the Fed would stop raising short-term rates. 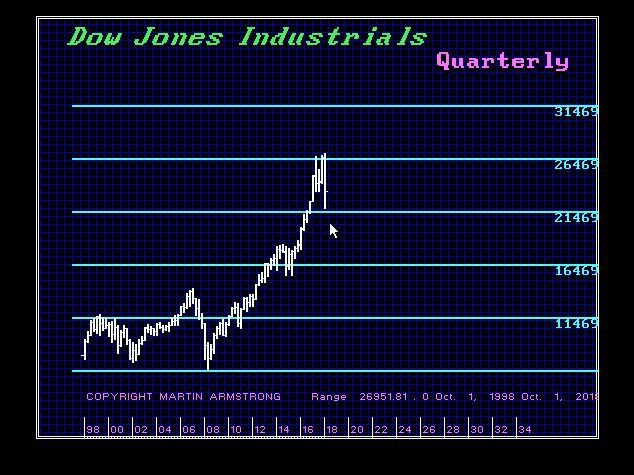 Of course, you have the pundits claiming that Powell has yielded to the correction in the stock market. They argue that Powell and other officials made their new posture clear. Additionally, Powell disclosed that the FOMC is evaluating the appropriate timing for the end of the central bank’s balance-sheet reduction and that they would be looking to finalize their plans on that issue going forward. The pundits seem to ignore history completely. They are touting that the Fed was backed into a corner by financial-market volatility. It is just totally amazing how ignorant these people are when it comes to the global economy and the business cycle. 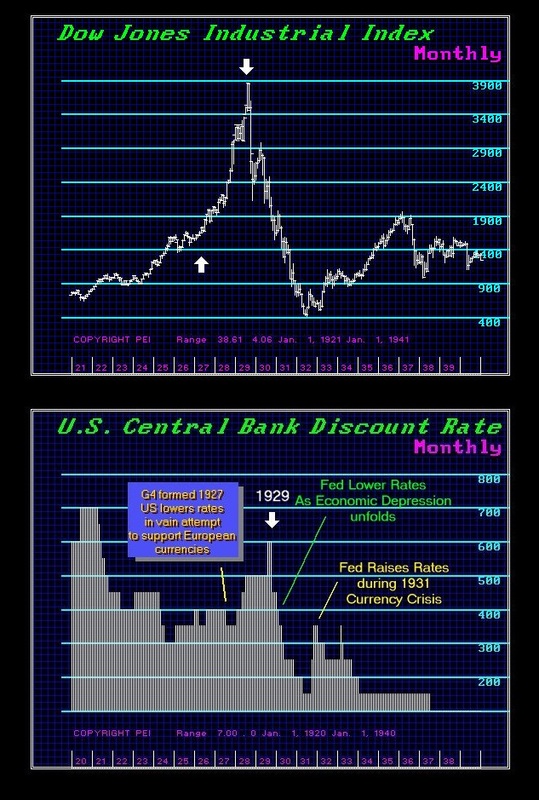 The Fed ALWAYS lowers interest rates NOT because of the stock market, but because of an economic decline. A stock market decline by itself is no big deal. We did not even elect a single Monthly Bearish Reversal on this move. There was no significant damage from that respect. The real issue being ignored here is the entire world is declining sharply into 2020 on an economic level. Lowering interest rates NEVER supports a collapse in the stock market. 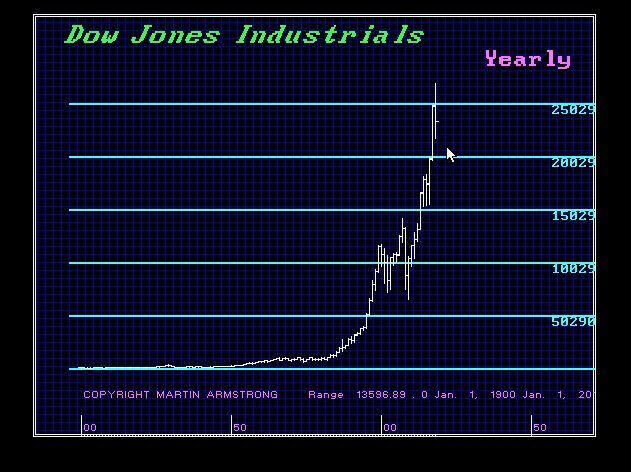 The Fed even raised interest rates as the market was falling in 1931 because the dollar was under pressure during the Sovereign Debt Crisis. It is so amazing how oblivious pundits are to what is unfolding around the world. Trump is correct. The USA has been the strongest economy. However, the US is starting to slow and overseas is having a very bad dream. 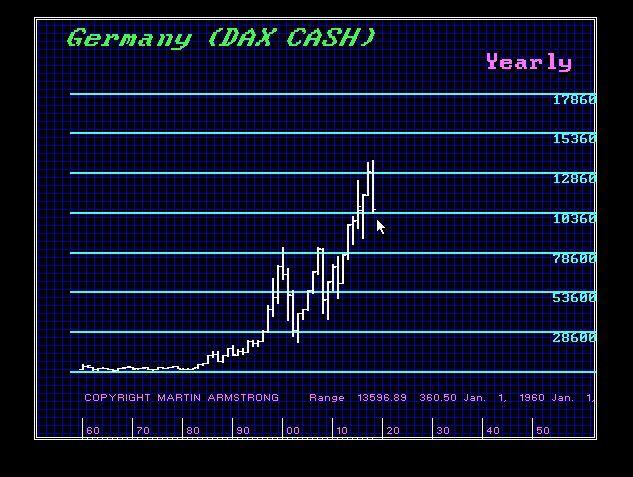 Just look at the DAX which not only was a major crash, it closed BELOW the low of 2017. The 2017 low in the Dow was 1967794. The US market has been the BEST performer. The Fed is NOT taking action based on the stock market. That is absurd. The US share market has outperformed everything in terms of currency from the international perspective. While the pundits had forecast Europe as a great buy two years ago, people simply lost tons of money on that forecast and their buy of Emerging Markets. These people NEVER look at the interaction of currency with equities. Just unbelievable! We are now going to go down very hard economically into 2020 on the last leg of the ECM. The Fed is under a lot of pressure from other central banks pleading with it to stop raising rates for they cannot raise rates. The ECB is in no position to stop Quantitative Easing in Europe. The Fed’s actions here have ZERO to do with the stock market. This is the culmination of the economic decline into 2020 that began in 2015. The Fed is not going to lower rates dramatically. 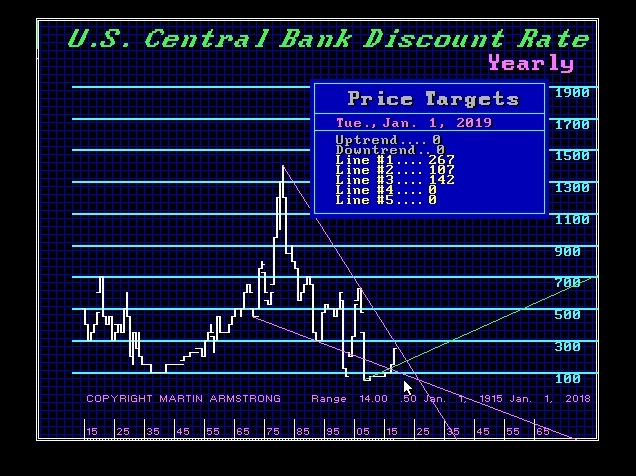 While rates closed at 2.5% for 2018, resistance still stands at 2.67% here in 2019 so rates have not broken out just yet. 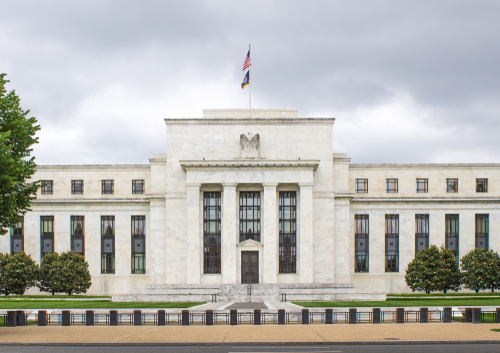 It is unlikely that the Fed will lower rates of more than 1%. That could unfold after May if the election in Europe creates havoc over the future. So far everything is on target. 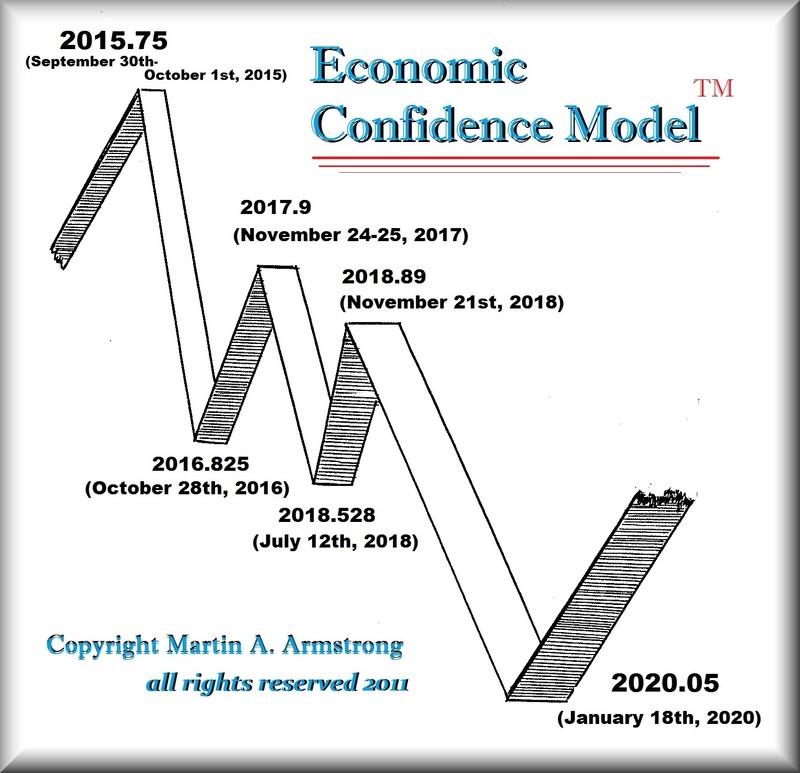 Last year was a Directional Change and 2019 is a turning point with 2020 coming in as another Directional Change and 2021 in a Panic Cycle. So hang on tight. We are in for some really confusing good times as we conclude this business cycle into 2020. Sorry – the Fed did not lower rates to help the stock market. It lowered rates because we are in a global economic recession into 2020. All I have been hearing is complaints from central banks around the world. They can see what is unfolding.